I had the pleasure of being a part of a team photographing a wedding at Predator Ridge. 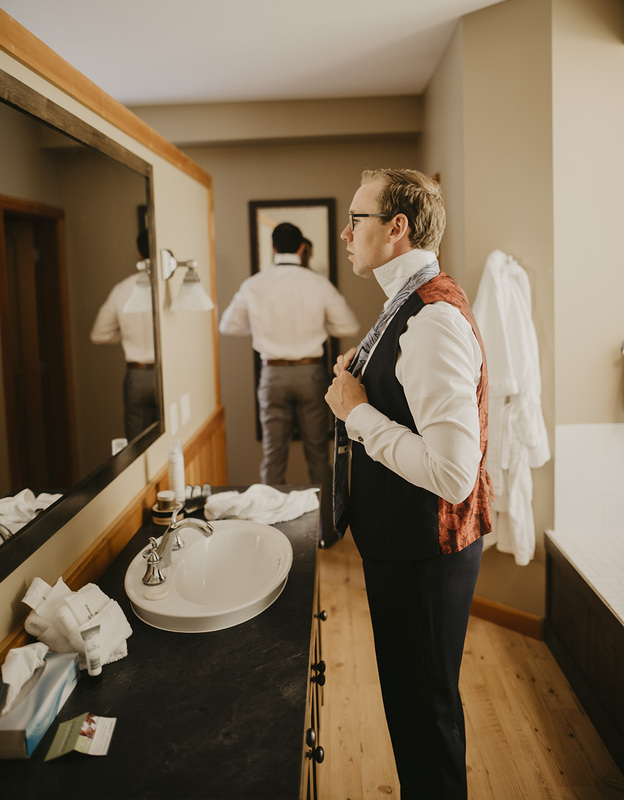 I was in charge of photographing the groomsmen getting ready for the big day. The main photographer was with the gorgeous bride and her ladies getting ready just a few rooms down. While the girls were getting fancied up the men were drinking beer, relaxing and ordered in pizza. Slices were eaten and cans passed around. Before we knew it, it was time to get ready. I was anxious to see who remembered how to tie the perfect tie. I have to admit that they all did pretty good! No one needed to do do a search on YouTube which is a first for me! We left the hotel and jumped into golf carts that were reserved just for us! We toured a bit and took photos by the pond, golf course and the Hockey Canada cabin where we tried to attach the boutonnieres. They were so well taped, it was almost impossible to pin! At one point I put down my camera thinking maybe it needed a woman’s touch. 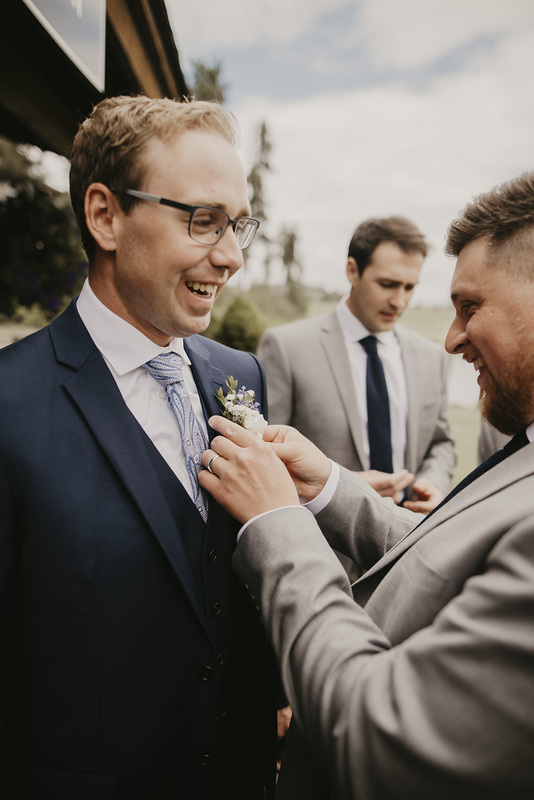 One groomsman went to YouTube and figured out the secret. You have to start behind the lapel and then hook it through. I think it took us a good 30 minutes to pin every guy. The ceremony was held outside under an overcast sky which was perfect for photos. Right after the ceremony we all hopped into golf carts and toured the course stopping at carefully selected locations for the perfect background and lighting. The couple and bridal party popped bubbly at a yoga platform overlooking the valley below. It was another beautiful day in the Okanagan for a wedding. 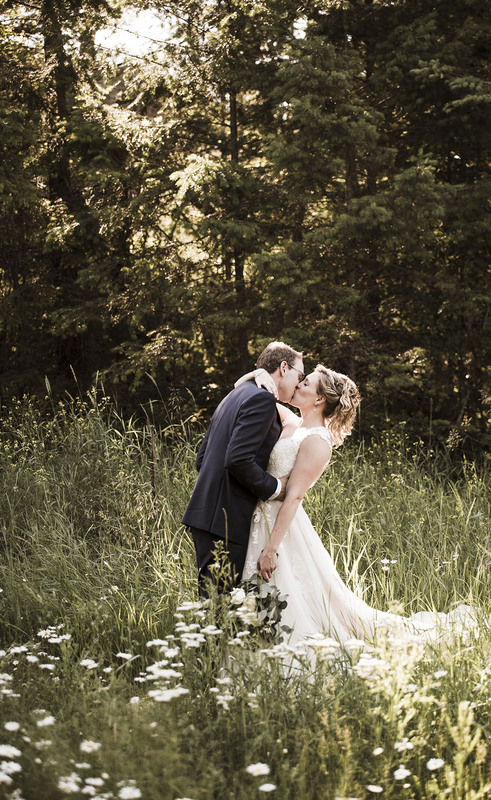 I look forward to posting more weddings very soon!